My sister had Xiaomi Redmi 3S Prime, and she had to upgrade so I got her this beautiful device Redmi 4, from the same company. But I was disappointed because couldn&apos;t find any special or unique new features. Same battery life, same performance. Just better camera from 3S prime. Can go for this device if you want to enlive a new smartphone experience. Good phone with the affordable price. Easy to handle, both cameras (13/5) are good . Light weight, and many more features. I brought the redmi 4 one month before and feel this is the good mobile that I used till now. As said good product at the reasonable price. It would be more better if it had flash light for front camera. Settings (gallery) should be little user friendly. Redmi 4 is an astoundingly well-designed phone and can certainly be the best choice in its range.The important thing is that it feels great in the hand.The images that are clicked from the Redmi 4&apos;s camera are rich in detail. This device which is very well designed and is consistent in performance. One thing that seems missing is the front screen flash. The Redmi 4 is a budget phone with premium looks. The build quality is excellent and it feels solid, and the matte black variant looks great and gives a very premium feel.The HD display nevertheless looks fantastic in terms of color reproduction and viewing angles..Outdoors in daylight, the phone really surprises with details it manages to capture and overall clarity. Redmi 4 is an excellent device for the price and newer design looks premium .It does not support fast charging. It runs on Android marshmallow.The colors are accurate and touch responsiveness is also good. 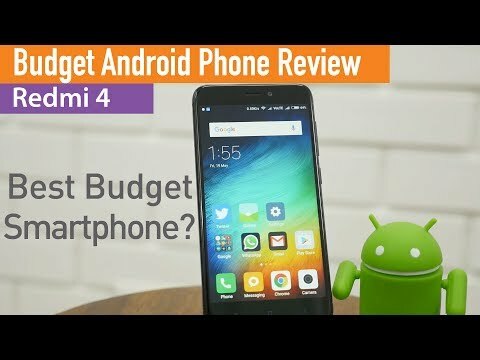 Redmi 4 is a great value for money device and I do not have much to complain simply because of the low price point. 28 Pricebaba users have written their experience with Xiaomi Redmi 4 32GB. If you own Xiaomi Redmi 4 32GB, please do leave your feedback too. Lowest price of Xiaomi Redmi 4 32GB price in India starts at Rs. 7,499 Prices updated on 22nd April 2019. Redmi 4 is a budget offering by Chinese smartphone maker Xiaomi. Although it is priced so low, the specifications and features are great considering that. Let's take a look at what this phone has to offer. The Redmi 4 has a metal unibody which makes the phone look premium even though it is a budget phone. The device is available in two colours: Black and Gold. It fits a 5-inch HD display with a resolution of 1280 x 720 pixels. The phone also has Corning Gorilla Glass protection on top to make the screen more durable. This offering from Xiaomi comes with a 13-megapixel rear camera with PDAF (Phase Detection Auto Focus). You can also record Full HD videos with the help of this camera. On the front, there’s a 5-megapixel sensor for clicking selfies and making video-calls. You get an LED flash on the rear to aid in better low-light pictures. You can expect good performance out of the phone since it comes with the Qualcomm Snapdragon 435 chipset. It is coupled with 3GB of RAM to facilitate seamless multi-tasking. The phone runs on Android 7.0 Nougat and is layered with MIUI 9. It gets 32GB of internal storage which can be expanded up to 128GB via a microSD card. However, since it has a hybrid slot, you can only insert one SIM if you want to expand the storage. The Redmi 4 has a massive 4100mAh battery unit which will easily get you more than a day’s usage. In terms of connectivity, you get support up to 4G LTE along with VoLTE. There’s a micro USB port for charging and a 3.5mm audio jack for listening to audio. It also has WiFi and Bluetooth wireless connectivity options. Ans: Yes, the phone works perfectly with Reliance Jio network. Ans: Yes this phone comes with a hybrid slot. Ans: You will need a Micro USB charger for this phone. Ans: You can expect future MIUI updates for this phone. Ans: The Redmi 4 has a 5-megapixel front camera which can click some decent selfies. Ans: No, the battery of this phone is not removable.